The vegetative parts of mushrooms may hold the cure to viruses that kill bees. Honey bees may derive health benefits from the certain parts of mushrooms, giving them a chance to combat viruses that have contributed to the destruction of their populations, according to a new study. Parasitic mites, viruses, pollution, habitat loss and pesticides and herbicides are all considered factors that contribute to declining bee populations across the globe. More specifically, they contribute to a phenomenon known as colony collapse disorder, where the majority of worker bees suddenly leave the hive and disappear, often leaving behind the queen, food and a few nurse bees to care for the immature bees and the queen. 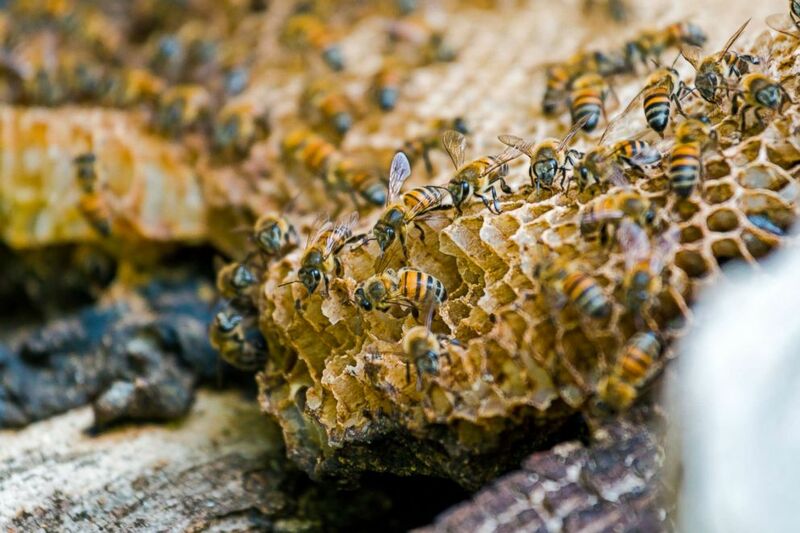 While scientists are working to find ways to save bees from colony collapse disorder, a group of scientists recently spent four years focusing on how the mass of tubular filaments of certain fungi, known as mycelium, could help bees battle viral disease. “Bees have been observed foraging on mushroom mycelium, suggesting that they may be deriving medicinal or nutritional value from fungi,” read the study, published in Nature Scientific Reports. The study suggests that bees with Lake Sinai virus and deformed wing virus could benefit from extracts of polypore mushroom mycelium, which were shown to reduce viral counts within the bees. 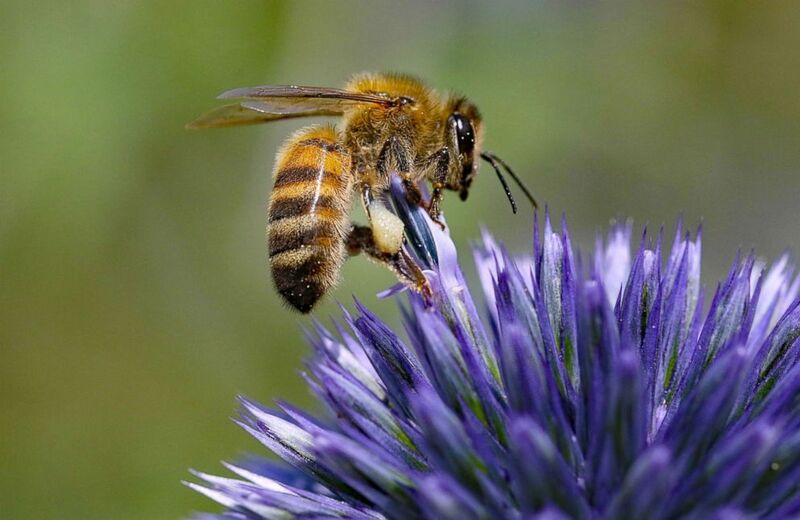 (STOCK/Getty Images) Honey bee lands on a flower in this stock photo. "This is a natural product and [it's showing] tremendous results in reducing the viruses of bees," Paul Stamets, lead author of the study, told ABC News. He called them "the first antivirals to reduce viruses in bees." Stamets, the founder of Fungi Perfecti, a family-owned business working to promote the cultivation of high-quality gourmet and immune-supporting mushrooms, worked with researchers from Washington State University and the U.S. Department of Agriculture on the study. Both Lake Sinai virus and deformed wing virus — which appear even more with the presence of the Varroa destructor mite — suppress bees' immune systems, weaken their ability to pollinate, and cut their flying time by almost half, according to a statement released with the study. What's more, "these viruses remain on flowers visited by infected bees and later reinfect wild bees," the statement read. The study was years in the making, according to the statement. Stamets was originally invited to submit his mushroom extract samples to the Project BioShield program, a Department of Defense initiative meant to find compounds that could potentially help in the aftermath of 9/11, when there were heightened concerns of a biological attack. (STOCK/Getty Images) Honey bees are seen in a hive in this stock photo. Several of Stamets' extracts were found to be "extraordinarily active," the statement said, and after approaching researchers at Washington State University, they found together that the extracts could nearly double the lifespan of caged bees while also reducing their viral count. Stamets emphasized that the environment is the first line of defense against colony collapse, and that protecting the forest and fungi is essential for the bees to survive and be healthy.